A report and video from Human Rights Watch (HRW), based on the updated CMS data, says the use of antipsychotic drugs in long-term nursing home patients decreased “from about 24 percent in late 2011 to under 16 percent last year” with decreases reported in all 50 states. However, the report estimates that 179,000 nursing home patients are given powerful antipsychotics every week with no diagnosis to warrant the drug’s use -- sometimes without consent from the patient or their families. The report, titled “‘They Want Docile’:How Nursing Homes in the United States Overmedicate People with Dementia”, is based on HRW visits to more than 100 facilities nationwide and over 300 interviews with residents, family members, staff, government officials, and healthcare advocates. 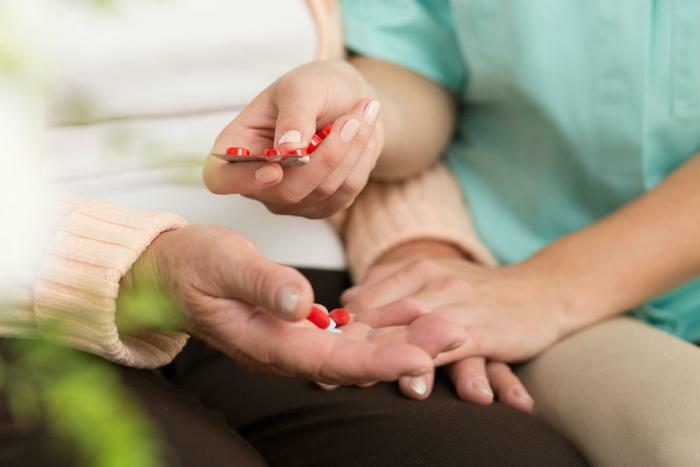 It finds that despite rules against the misuse of drugs to control the behavior of older people with dementia, overmedication of nursing home patients remains a serious problem. “People with dementia are often sedated to make life easier for overworked nursing home staff, and the government does little to protect vulnerable residents from such abuse,” said Hannah Flamm, the report’s lead author. “All too often, staff justify using antipsychotic drugs on people with dementia because they interpret urgent expressions of pain or distress as disruptive behavior that needs to be suppressed,” she said. The report says even when facilities were found to have used medication to make life easier for staff or to discipline residents, they were rarely punished. Antipsychotic drugs are associated with a nearly doubled risk of death for elderly people with dementia, the report warns. Due to their risks, advocacy groups want the drugs to be phased out. “Antipsychotic drugs alter consciousness and can adversely affect an individual’s ability to interact with others,” HRW said. "They can also make it easier for understaffed facilities, with direct care workers inadequately trained in dementia care, to manage the people who live there." “There’s been sensational change, yet there’s space for greater change,” said Dr David Gifford, the group’s vice president. He notes that many of the antipsychotic treatments used in nursing homes can be dangerous to residents if not properly regulated. “These types of drugs can also increase the risk of complications in the elderly living with dementia, which is why our members support safely reducing usage through a person-centred approach to care.” he said.